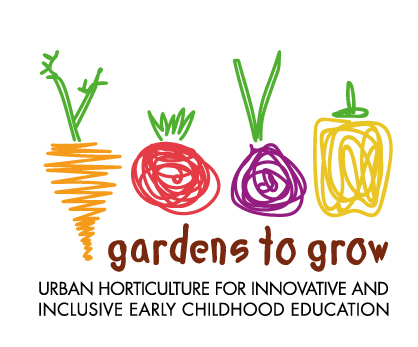 GARDENStoGROW Urban Horticulture for Innovative and Inclusive Early Childhood Education is a project co-funded by the Erasmus+ Programme of the European Union. Our aim is to create educational and inclusive gardens and training courses for early childhood teachers and school managers and develop basic, civic and transversal skills for the 3-5 age group. The GARDENStoGROW educational gardens set up in the partner structures will take the form of spaces for meetings, exchanges and learning for children, teachers and families. Started in September 2017, the project will last until February 2020. GARDENStoGROW is an initiative coordinated by Explora, the children’s museum of Rome. The partnership includes: 2 children’s museums, 1 foundation, 4 schools, 4 universities and research centres from Italy, Spain, Northern Ireland and Bulgaria. Questo articolo è stato pubblicato in Projects . Bookmark permalink .